This is my third mod that I've ACTUALLY worked on, and released. 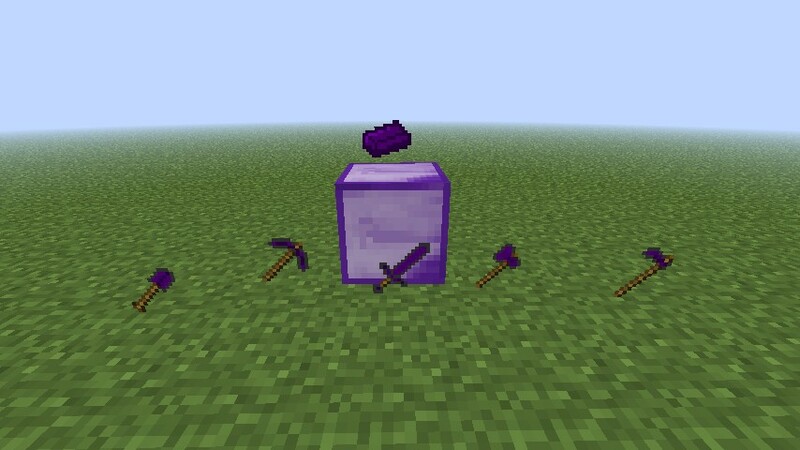 Added 3 new ores. Ruby, Emerald, and Copper. All of them have a "special" property, or use. Copper: Nothing special. Added as a substitute for Iron, although it's more common and is as common as coal. I've spent over a week on this, so I'd appreciate if you'd subscribe to me here, and on Youtube, a favorite, diamond, and possibly donate! Thanks! For all other Windows users that are using vista and below, hold the windows button, and "r." It should open a program called "Run." Type in "%appdata%", and press enter. Look for your .minecraft folder, open it, then open "bin." Your minecraft.jar should be in there! Changed title again. Will put out an actual update soon! 9500 downloads! Sheesh! The reason I haven't updated this is because the update rate in Minecraft. It's pretty ridiculous. Plz plz plz plz plz Can u tell me how to make a mod because I'm so unsure.... I really want to make one but I don't know how! PLZ TELL ME! Thank u! I'm gonna give u a diamond and I'm gonna subscribe to u. Do you know how to make a game because thats kindof how to make a mod change the game code. on the aether mod i beat the gold dungeon and got the full set of pheonix armor then it rained on the overworld (earth) and it turned into obsidion armor and it was alot ALOT stronger than diamond. If your still wondering you must know how to make a game first of all. [size=12px][color=rgb(37,37,37)]hello! i'm working on a mod pack and i was looking for cool mods to put in them and i wanted to ask if i can use yours! 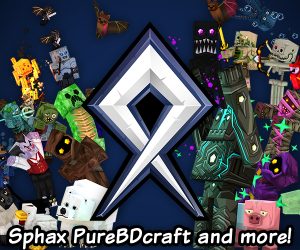 i will put your name in the desc of the mod So dont worry ill let any one that downloads it know who did the modding! and do you put the folder in the bin also? THE DOWNLOADS ARE OVER 9000! tyler, what are the full stats for tools and armor for bone, copper, obsidian, and battle axes? like uses/compared to diamond? dude... this mod is great. ima see if i cant get some of the big mod reviewers like ipodmail, yogscast etc. to do this. you deserve it but ill do it only with your permission. do i have it? D: To change the id's, go into your .minecraft folder, then the config folder, then there should be a config file for my mod. Just open it up with a text editor like notepad, or notepad++, and just change the numbers around. I changed the id's for the bone armor to 5062-65 but it still crafts as dog bones ._. Hm... Well, teh id's are in config file twice, try changing both of them. 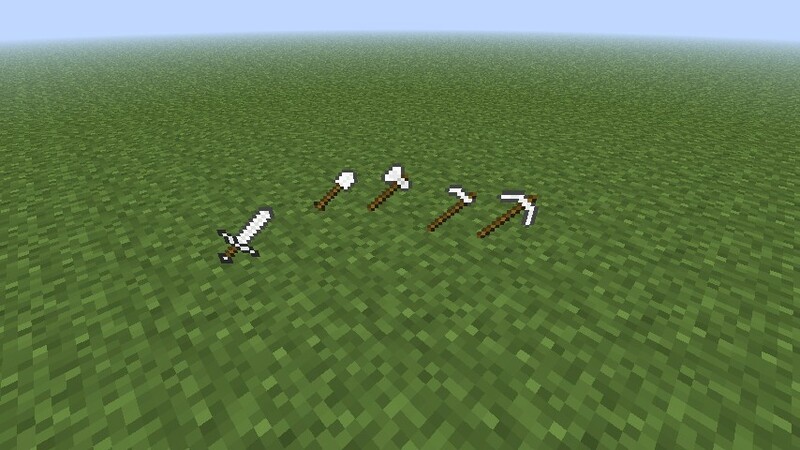 CAN YOU ADD LIKE BIG CIRCULAR SWORDS THAT WHEN YOU HIT AN ENTITY(MOB) IT STRIKES WHITE LIQUID ALL OVER THEM THAT SLOWLY KILLS THEM!? 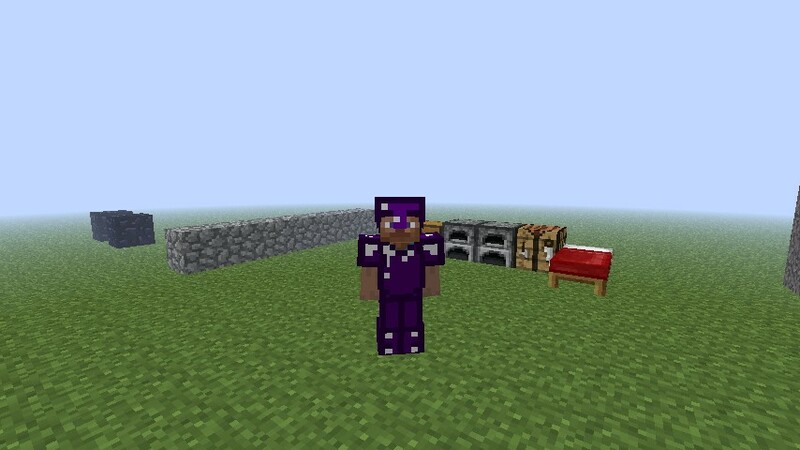 can you add redstone armor and tools? and mabey some wooden armor? hey can someone help me making a hoe recipe? I don't know what to do with the " More Stuff "
Really liked it! May I use it in a modpack I'm making? Is there any chance this will be multiplayer compatible? Like as a plugin :3 would be great for rpg servers. What do emerald, ruby, and copper do? Took them out a couple updates back. Yeah, I'll probably change the name and/or texture of emerald as soon as 1.3 comes out. This looks like a really great mod! Nice work! I think ill check it out later. How strong is the battle axe? Can you please not spam this here? The Trampolines and speed block do not work for me as well as in creative mode there are 2 blank "leather" helmets added in. 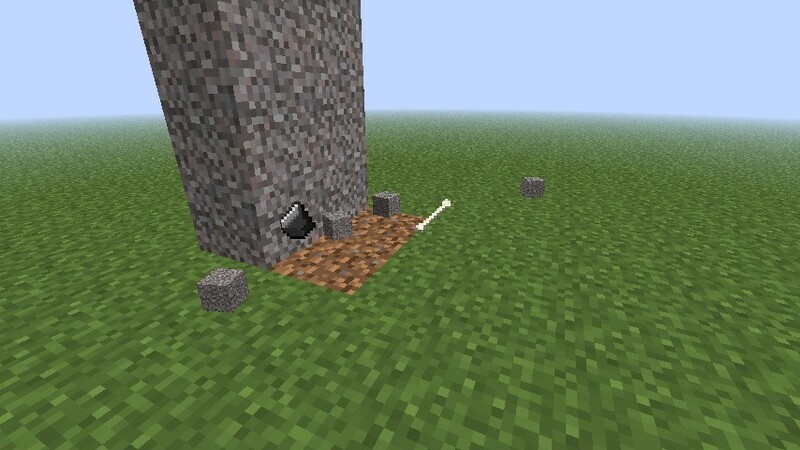 Also future suggestions maybe add in arrows or bow additions with the different tree types? Maybe use rotten flesh to make zombie armor. I cannot code myself but I have always been able to dish out loads of ideas. A suggestion maybe for those players whom wish to have full details, maybe make a chart that is like the minecraft wiki saying how much damage the new weapons do, armor can take, and how often items can be used. I like DarthDonut117's idea of redstone items, maybe since it is akin to it add glowstone items? 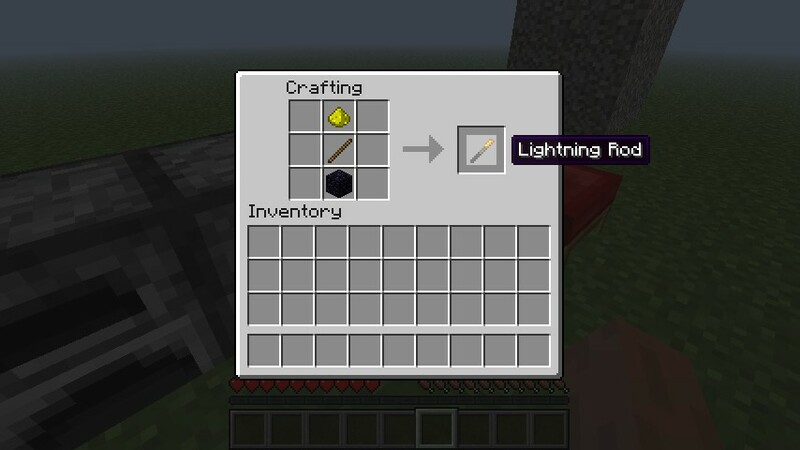 Thanks, good mod and first mod I have used to add items/ores to the game. Yeah, I took out the trampolines and speed blocks a couple updates back.. But I fixed all the bugs, so it's all good now. Thanks for downloading! 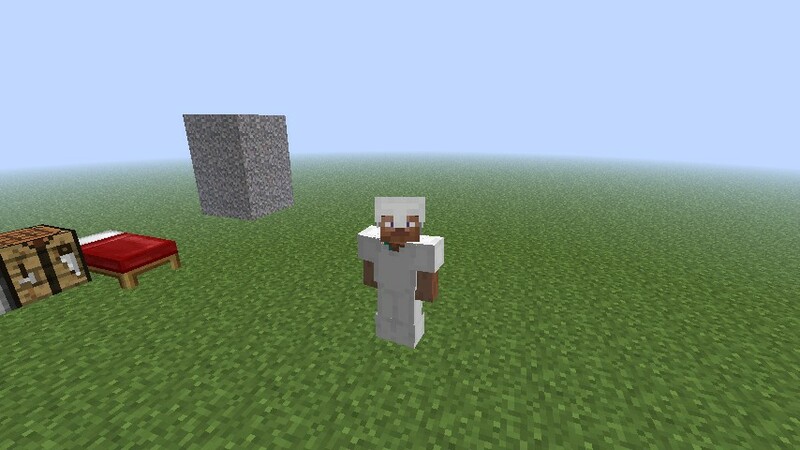 make redstone ore, it would be weak with tools and armor but you could use it to open iron doors that would normaly require a button or something, it could also be when you hit a piston or redstone wiring it would power it up. just a suggestion, but awesome mod anyways, i added diamond. Their is a probelm with the ruby shovel. It's all deform and just to let you know, emerald pickaxes can mine obsidan.